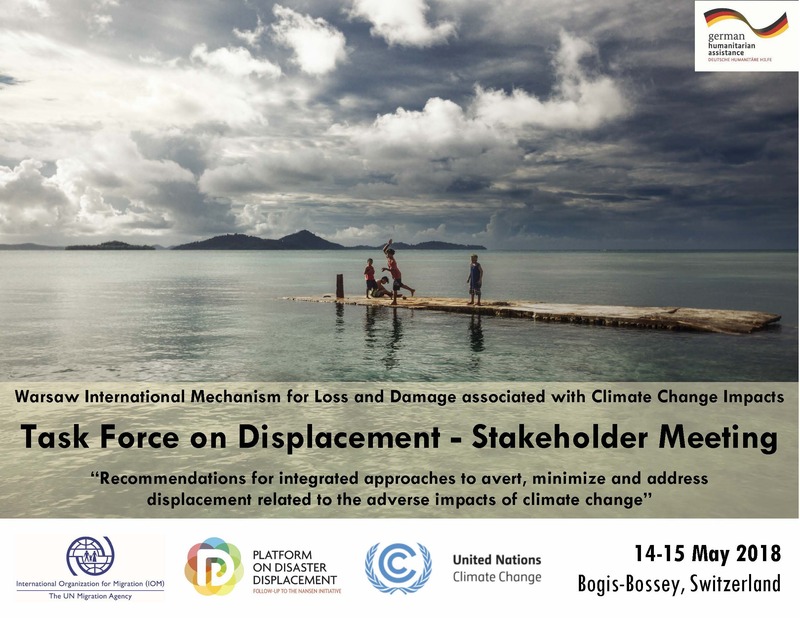 At the United Nations Framework Convention on Climate Change’s (UNFCCC) 21st session of the Conference of the Parties (COP 21) in Paris in 2015, the Warsaw International Mechanism for Loss and Damage (WIM) was mandated to establish the Task Force on Displacement (TFD). 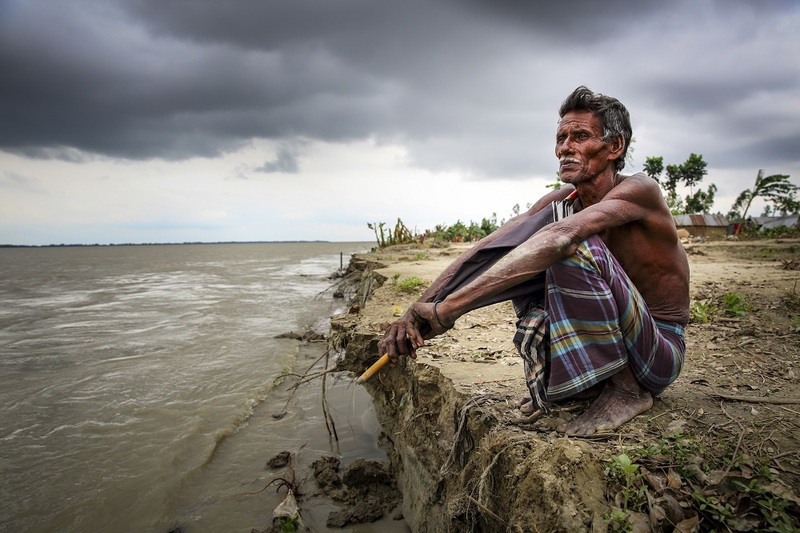 As displacement is often recognized as the “human face” of climate change, the TFD was tasked with recommending integrated approaches to avert, minimize and address displacement related to the adverse impacts of climate change. 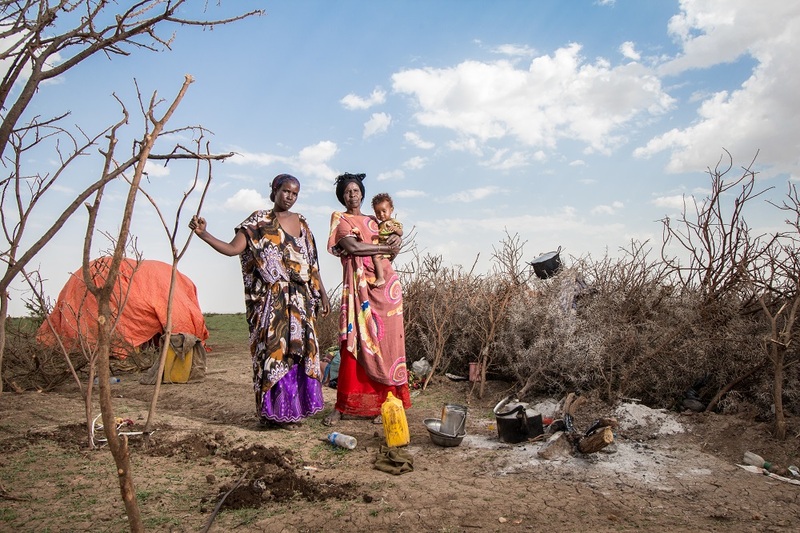 In the COP 21 decision, the TFD’s mandate specified that the group is to complement, draw on and involve existing bodies, organizations, expert groups and expert bodies outside of the convention to develop recommendations for integrated approaches to avert, minimize and address displacement related to the adverse impacts of climate change. Despite not having an internationally agreed upon definition, loss and damage (L&D) is typically referred to as the impacts of climate-related stressors that cannot be mitigated or adapted to. The Warsaw International Mechanism for Loss and Damage (WIM) is the main vehicle under the UNFCCC to address L&D associated with climate change impacts, including extreme events and slow onset events, in developing countries that are particularly vulnerable to the adverse effects of climate change. In May 2017, members of the TFD, including UNFCCC Executive Committee members from a number of regionally diverse countries, international organizations, a civil society group and the PDD, had their first face-to-face meeting in Bonn, Germany. There, they proposed a set of activities and a workplan that would lead to the delivery of their mandate. 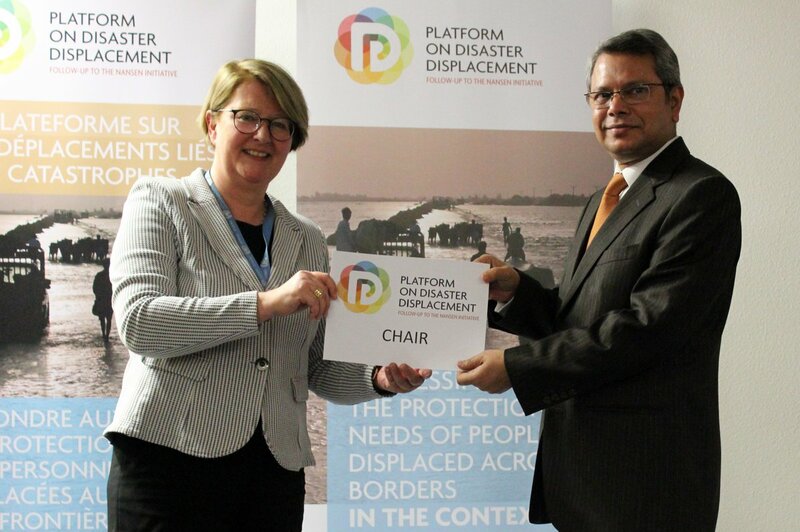 To follow up on the steps made throughout the past year, the Platform on Disaster Displacement (PDD) and the International Organization for Migration (IOM), with support from the United Nations High Commissioner for Refugees (UNHCR), are convening a TFD Stakeholder Meeting entitled “Recommendations for integrated approaches to avert, minimize and address displacement related to the adverse impacts of climate change”. This meeting is meant to take stock on all areas of the TFD’s work and on the implementation of its workplan. The overall goal of the meeting is to synthesize findings and to assist the drafting of recommendations by the TFD for integrated approaches to avert, minimize and address displacement related to the adverse impacts of climate change, which will be presented to the WIM Executive Committee in September of this year. This meeting will be the first time that such a diverse set of stakeholders will be able to come together to review the relevant research and practices regarding displacement in the context of L&D. The outcomes are expected to be a systemization of possible measures to address key legal, policy and institutional challenges and ultimately assist the TFD with the recommendations that will be presented to the WIM executive committee later this year. In order to make sure that all stakeholders are able to be represented in this meeting, the organizers have circulated invitations for the public to submit relevant material to be considered in the drafting of recommendations. Learn more about that process here. Find more information about the Task Force, including its two year workplan, on the UNFCCC website.